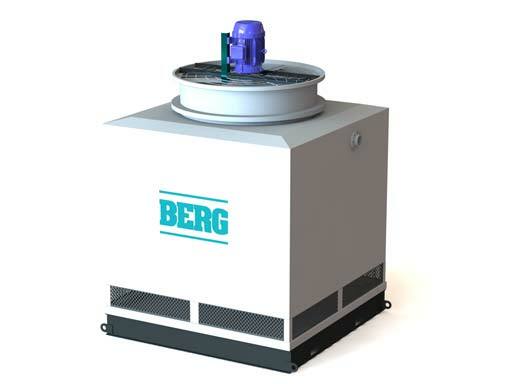 Mass Thermal Air Dryer | Berg Chilling Systems Inc.
Compressed air is unable to hold as much moisture as atmospheric air. Without managing this moisture, water droplets will form, resulting in mechanical damage to pneumatic tools and causes corrosion in compressed air system controls and piping. The purpose of a Mass Thermal Air Dryer is to reduce the moisture content of the compressed air so that condensation does not occur in the pneumatic system. As a result of compression, air may be supplied to the Mass Thermal Air Dryer at 35°C to 40°C saturated with moisture. The air is then cooled in the Air Dryer to a required dew point temperature where the moisture precipitates out and is drained off. 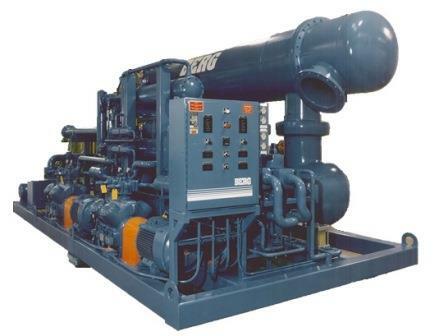 The cold air is then re-heated through a heat exchanger that also provides the added benefit of pre-cooling the incoming air for optimum efficiency and lower power consumption. The purpose of reheating is to prevent cold air from passing through the lines creating condensation on the outside of the air supply lines. 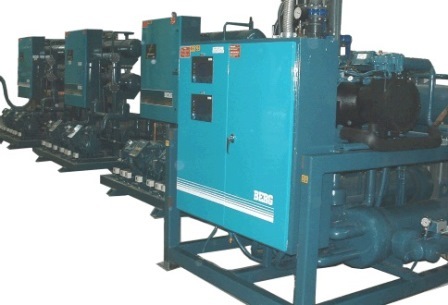 Capacity: To remove 25,000 CFM of saturated air entering at 110 psig/100°F, leaving at 100 psig/ 85-90°F leaving air temperature (33°F to 39°F dew point). Control: PLC controller with remote capabilities tied to client’s in-house control system. Benefits: Fully factory-packaged and tested prior to shipping saving time on installation and start-up. 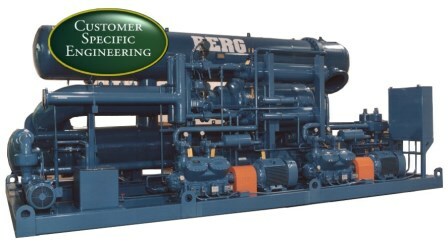 Berg’s in-house PLC programming ties nicely in with the total project management. If operational changes are required later in the life of the system, product knowledge and design continuity is maintained and our clients can easily access total system support.